Skinny jeans have long reigned supreme, but this fall, the denim trend will finally surrender its crown. Here at Who What Wear, we take our denim very seriously, so naturally, we've placed a number of bets on which jean shape will replace our once beloved skinnies. Baggy jeans? High-waisted? After a bit of guessing, we can safely say that this fall, straight-leg jeans are the denim trend that's giving skinny jeans the ole boot. We spoke with Katie Smith, retail analysis and insights director at Edited, to confirm our suspicions. "Compared to a year ago," she shared with us, "we've seen a 49% increase in the number of straight-leg jeans in stock in the last three months. Skinny jeans are still the dominant mass market denim style, representing 40% of the best-selling products in the last three months. However, in trend stakes, straight fits are climbing and selling out at 80% more these past three months than they were at the same time last year." If you're a diehard skinny-jean fan, though, fret not. According to Smith's insight, the formfitting style isn't going anywhere anytime soon. 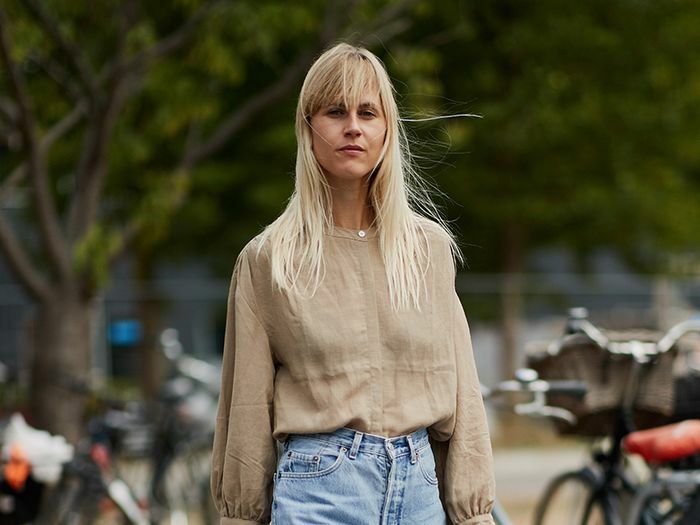 But shoppers clearly have their eyes set on straight-leg jeans, so we know one thing for sure: In a few months' time, you'll see everyone wearing this denim trend. 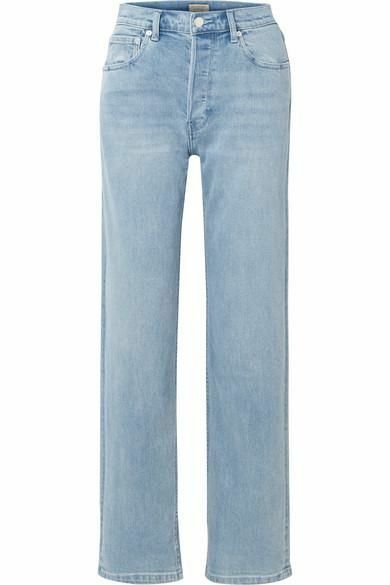 We've been fans of the shape for a minute now, so if you're ready to join us and see what all the hype is about, shop our edit of the chicest straight-leg jeans at every budget below. Available in sizes 25 to 31. This baggier fit is so right now. Just imagine how well this off-white color will go with your sweaters. Contrast seaming makes this pair look so elevated. Available in sizes 27 to 28. We're way too into the distressed hems here. Who What Wear editors adore this brand. This brand offers only one jean shape—the perfect fit, according to the team there. This cropped hem is basically waiting to showcase all your cute mules. Ready your ankle boots because this cropped hem is just waiting to show them off. Need Supply Co. just made its own jeans, and they're really good. Seriously, you'll wear these with everything. Celebs are obsessed with this Levi's fit. Available in sizes 25 to 30. Meet your new off-duty jeans. Pro tip: Darker washes make jeans look more expensive. Just go ahead and copy the model's entire outfit while you're at it. Take a cue from the styling, and cuff this pair a few times at the ankle. Available in sizes 8 to 22. These were made for kitten heels. Just saying. Now you're all set to own a pair of straight-leg jeans, too.